Check out the homeys Tunji and Toby rocking the VIMBY showcase at Swinghouse in LA. These guys are definitely on the up and up, so make sure you remember the name. 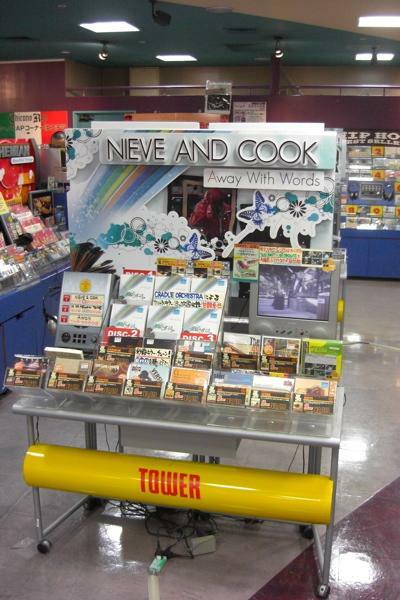 The album I produced for Nieve, “Away With Words”, was released on June 4th in Japan. Hopefully we’ll make an appearance in Japan soon to rock some shows. Check out Nieve and Cook Classics on myspace. OK, I haven’t vlogged in a while. Between being really busy and, well, being busy, I haven’t had much time. But I’m gonna try step my game up. I’ve been working at Can Am Studios with talented young singer named Avriel Epps. Here’s a preview of a track we’re working on. We’ve cut 4 tracks so far and have many more on the way, so stay tuned. Shout out to Joel Van Dijk, who came through earlier to record guitar. This video is from their last album “Game Theory” and is one of my personal favorites. I’m not crazy about the video, but any Roots media I haven’t seen is still good to me. Enjoy. Not much of a video…but the beat is a heater. You’ll hear the real version soon enough. Enjoy. Another video with James Poyser on keys, Al Green, and ?uestlove behind the camera. This is hilarious if you got a minute.